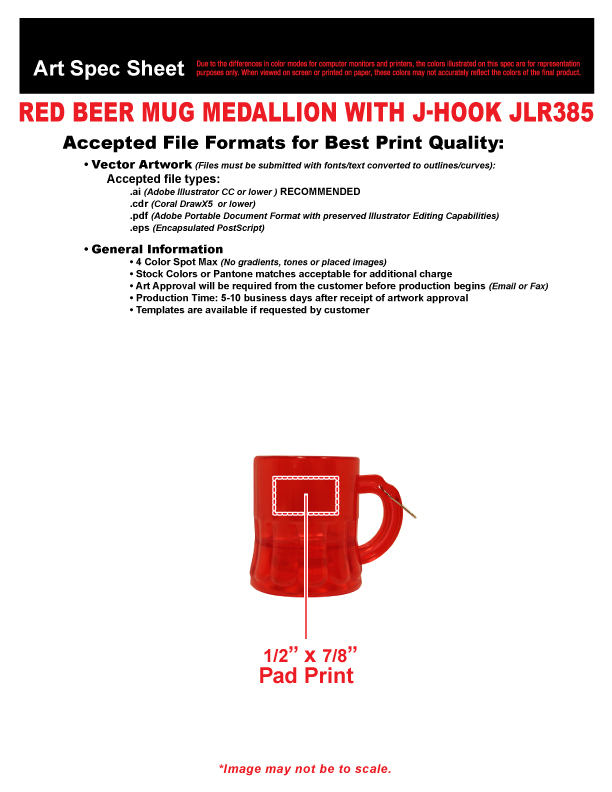 Quick Info: Beer Mug Medallion, St. patrick's Day, Beer Garden, Beer festival, Oktoberfest, Patriotic IMPORTANT: Please Note, the shades of the product color may vary slightly since we might need to use different dye lots on orders of large quantities. 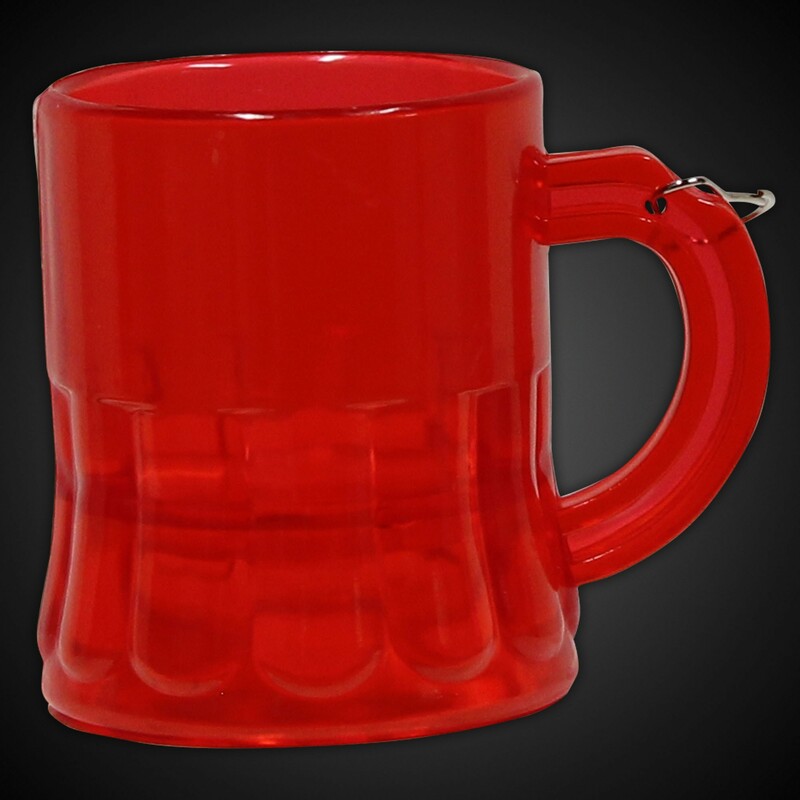 Our Mini Red Beer Mug Medallion is perfect for your patriotic events, beach/pool party, birthday parties, or summer festivals. The attached j-hook is perfect for adding to your choice of party beads or leis (sold separately).